Because we are baking up some sweet memories…. and told us they had “hit hard times”. Their courage and perseverance blessed our hearts. The cookie of my heart. 1. 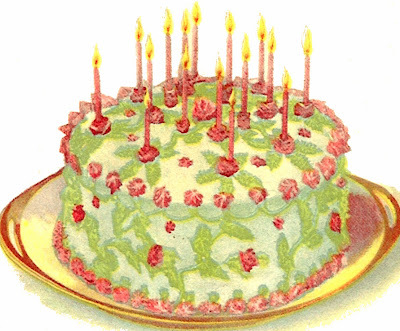 Sing “Happy Birthday” to Jesus…..
in the whole wide world…Prancer! while everyone slept in heavenly peace…. to the worshipful sounds of Hillsong. and honor Him with praise and thanksgiving. and ponder His magnificence and amazing love. To think that He left the glory of Heaven, the throne where He sat as King of Kings, and Lord of Lords, to come to this earth as a baby, born in a lowly manger, for the SOUL purpose of sacrificing His life for you and me, which was the only way to rescue us from darkness and eternal separation from Him. To go through what He went through (for us!) is unfathomable to me. I encourage you to take 10 minutes time-out to reflect God’s incredible love for you. You may be going through a time of hardship and sorrow right now, while the world parties, your heart is breaking. I don’t know anyone who has not been affected by our Nation’s financial crisis. But know that Jesus came to bring you good news…He came to heal and comfort the brokenhearted…to set the captives free…to grant consolation and joy to those who mourn…to give you a garland of beauty instead of ashes and the oil of joy instead of mourning…the garment of praise instead of a heavy, burdened and failing spirit (Isaiah 61). Sweetie-pie, go light a yummy candle and read Isaiah 61….remind yourself that God sent His son Jesus to be the light at the end of the tunnel. and He has a plan to bring you goodness and joy! see y’all after the New Year! Ruthann Merry Christmas! Your blog is such a blessing! I look forward to reading about your adventures and your love of Jesus. Thank you for being an encouragement to me. Many blessings to you. Your blog warms my heart and makes me smile. I hope you have a wonderful Christmas! Merry Christmas to you and yours. Everything looks ready for the celebration of our Saviour. Hope all is merry and bright as you enjoy this most lovely time of year. Thanks so much for the beautiful pictures and uplifting words. Your blog is very encouraging (especially after a day grocery shopping!). Merry Christmas and Happy New Year! It is lovely to see Hillsong in your home. The Hillsong church is close to my house. I spent nearly an hour on your blog today to get me in the right frame of mind for Christmas. I always gaze at your blog longingly and wish I could be just like you. Merry Christmas and God bless you and your family! Thank you!!! Merry “Christ”mas, to you, too!! Ruthann, what a delight you are to Blogdom! My visit with you this evening has been so sweet and pleasant. I love the pictures of your beloved family through the years and I do believe that you’re the only one who hasn’t changed a lick. Thank you for your joy-filled words and your joy-filled post. Merry Christmas! I discovered your blog about a month ago and I just love it. Thank you for taking the time to make it so special for all your readers. Your children are beautiful and your words are inspiring. Your blog is a touch of heaven. When I count my blessings I think of you Southern Sista! Just a beautiful post…it’s all about Jesus, isn’t it? What a wonder HE truly is!!! I have been so blessed by your posts this year. I pray for happiness,peace and blessings for your family in the new year to come. Have a wonderful and Merry Christmas! We love you, Ruthann! We love your blog, we love your decorating, and we love your heart for Jesus! Thank you for being a real inspiration! I told my mom about you and now we tell all our friends about you! You’re tops! I have such anticipation in waiting for your posts, and then leave your blog (after MUCH repeated perusal!!) feeling so refreshed and uplifted. You have such a gift of hospitality. well that is just precious and i have tears in my eyes just looking at all your family photos…and it’s not even MY family…but someday i will have that many photos that show the years gone by and how babies have grown and i’ll be a little sad, but thankful…thanks so much for your words and reminders. our GOD REIGNS girlie and isn’t that such a gift? i love you and i would read your blog every day if you posted something each day!! i need your contagious inspiration every day! are you sure you’re not a women’s pastor???? that’s how i feel about you! love you ruthann…your family is absolutely precious!! CHRISTmas blessings! Merry Christmas to you and yours! I feel so blessed to have found your blog and you continue to bless me in ways you can’t know. I hope you have a wonderful, memorable, and spirit-filled holiday! Your blog is such a warm blessing to read and enjoy. It simply warms my soul. You home is beautiful and I can tell it bursts with love and laughter. Thanks so much for inviting us in! Ruthann – Thank you so much for sharing your heart and home and for always inspiring. A wonderful blessed Christmas to you and your family! Your blog is such a blessing. Thank you. May your Christmas be overflowing with love and grand memories. Jesus IS the reason for the season and as long as I keep my eyes focused on him, the rest will become clear. Beautiful post Ruthann! Merry Christmas to you & yours! Merry Christmas to you and your family, Ruthann! Your blog is a wonderful gift to so many! Merry Christmas to all of you! So very well said and so comforting to hear, we are all blessed by the scrifices that have already been made for us……. You know how I love your blog! What a beautiful post! and your cookies look amazing! and you both looks so cute too! Prancer happens to be my daughter and mines favorite Christmas movie too! and such a cute idea to add pictures from over the years! what Joy! Merry Christmas to you and yours and Blessing for a great New Year! Ruthann, thank you for sharing your precious self with us all! You and your blog have been such a wonderful source of inspiration to me this past year. I have gleaned so much from you on how to create a warm and cozy home, as well as striving to be a more Godly wife and mother. Also, as an “older” woman, I especially appreciated your “tips” on how to nurture your relationship with your husband (the Lord has blessed me with an amazing husband and we have shared 26 wonderful years together!) as well as your great beauty tips. As we get older I think it becomes easier to let our appearance kind of “slip” and I do NOT WANT that to happen. This “old barn” sures needs “some paintin,” and I would love any ideas you might have on that subject!!! Merry, merry Christmas from my home to yours. que des photos de bonheur!!! I enjoy reading your blog so much. What an encourager you are. Merry Christmas to you and your family!!!! 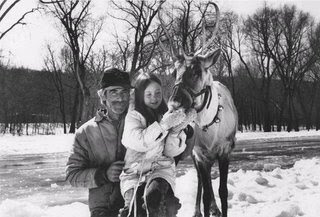 Thanks for such a warm hearted post and for sharing your lovely past Christmas photos. Have a blessed Christmas! Merry Christmas and God’s Blessings to you and your sweet family! Merry Christmas Ruthann! I hope you and yours have a blessed day and a great new year! Thank you Ruthann for the warm and festive reminders. In the hussle and bussle of things we often forget about getting on our knees and reflecting on what this day is all about. Merry Christmas! Merry Christmas Ruthann. Thankyou for sharing your beautiful family with us, and for this hope filled blog. I will take the time to light a candle just as you did. amen sister! How beautiful. Merry Christmas !! How touched my sad heart was, until you reminded me how our Savior came to not only touch our hearts, but to heal them. P.S. Loved the big hair shot!!!! why they phased out big hair is beyond me!!! I want you to know your blog has blessed my heart many times since I discovered it. Sometimes it helps to know that what you do by posting, is encouraging and inspiring others. It is a beautiful, artistic and so inspirational blog. Thank you! Merry Christmas, dear Ruthann. Thanks so much for your sweet message…it was BETTER than any gift! I really enjoyed this beautiful post, because you reminded us to put the focus on the true meaning of Christmas! And you also encouraged us to reflect on God’s love for us…SO important and precious to think of throughout the whole year! Bless you and thank you for your inspiration and encouragement to us all! I enjoyed all the wonderful family photos! God bless you and yours today and everyday! Your daughters look just alike! They have their Dad’s coloring but they definitely look just like you!! By the way, I found out that I am going to be a granny – yea! Ruthann,I can tell you really love the Lord. I wish I could have you as a neighbor! God Bless and Merry Christmas! You are AMAZING! I feel like I get a big hug everytime I come here. Thank you for your cozy home and your faith! Merry, Blessed Christmas to you and your beautiful family! I loved looking at all of your photos, we also sing Happy Birthday to Jesus! and the cookies, I thought I was done with christmas cookies but I might have to make some of these starsugar cookies? that is what I call my daughter-my little star! I am late reading this post but it really touched me…I am so glad you decided to do such a kind act for your neighbors, I was thinking, you know you have so many of us that Love your blog right??? well… what if we all put $1.00 or more : ) in an envelope for the family who has hit hard times? what do u think? is there a P.O. box we could send it to? Merry Christmas, sweetie! Thank you so much for all the advice you have given me this past year. Your friendship means so much to me and I’m so glad that He brought you into my life. I know I was meant to find your sweet blog. :) I hope you and your family had the best Christmas day. Merry Christmas! Thanks for the reminders! My sons and I live with my brother and have for a few years now. I haven’t worked since I was diagnosed with cancer and my brother offered for us to live with him. He lost his job 2 weeks ago and we are in a very hard place and I have had a discouraging day and your words uplifted this tired soul. I just wanted you to know that. Thank you! Hope you had a very happy day celebrating the birth of our Savoir. It’s always a treat to come to your blog, Ruthann. Thanks for sharing all those great photos. Merry Christmas! It was fun seeing your Christmases from long ago. What darling pictures! I just finished reading your blog from begining to end (no not in one sitting-lol!) It took ahile but Imust say you are an inspiration-I love our little tips and ideas-just love them- love them -love them! Thank you so much for sharing on your blog-your ideas and advise are very helpful. You have a beautiful warm home and I always crave pie when I visit you! God Bless and I hope you have a wonderful New Year!! Hope you have had a Merry Christmas. I have been so blessed this year by your sweet blog. Looking forward to the new year ahead and many more of your wonderful inspirational posts. What a wonderful time of the year! your family is precious and so are you for sharing them :). Those cookies look SSSSOOOOOO good! Can you post the recipe for them? Ruthann: Thank you so much for all the time and effort you put into your blog. Your love for Jesus and your devotion to home and family is so inspiring. It is truly a blessing to sit down, read your blog and reflect on the important things in life! Your blog is pure sugar! So sweet and cozy. I am so glad I found you through The Blessed Nest. The winnder of your blogiversary. Congratulations to you! I have just read all the way back to last summer. How wonderful. Oh I love your home and your kitchen is to die for!! A real dream home. Your family must feel very blessed to have such a loving person as yourself. Have a Happy New Year full of love, laugher, good health and happines! Those cookies look delicious and full of homemade goodness! How wonderful that you get to bake with your sweet Summer Rose. I’m sure she’s learning so much from her mama! Ruthann, I just get so encouraged every time I stop by. God bless you! Ruthann I LOVE your blog! You have such a sweet soul and the love of our Lord shines thru your words and the sharing of His word as well! I immediately feel right at home when I hear the pretty music, look at the pics of your beautiful home, and imagine myself sitting down with a warm drink and soak in the smells and sights of it all! Thanks for your blog and the passion that you put in it all. My grandma lives in the Ozarks as well. Silver Dollar City and driving thru the hills of MO is one of my favorite trips to take! God bless! The light of the Lord shines thru you and your words. Your recent post blessed me more than you know. God bless and thanks for sharing your faith, your beautiful home and pics. Hope your enjoying your holiday~ stop by my blog there is an award for you! Hola te escribo desde Argentina ,tu blog me encanta y tu casa me quita el sueño , no puedo imaginarme una casa mas hermosa , sos mi fuente de inspiracion , te quiero desear una muy FELIZ NAVIDAD !!!! y FELIZ AÑO NUEVO!! , te felicito por tu bella familia. ruthann…i had my computer on all day still on your page from last night…so if you are looking at your stats…it was me on there for about 24 hours. also, i have been thinking about your blog and writing a lot and you had asked what “we” like…i feel like your writing is almost like a ministry to me…a much needed one! very beth moore-ish…like how she explains all her little fun things she does with her girls and her family…that’s how i feel about your blog and i just wanted you to know. i hope you’ll post something soon! many blessings! I showed this to my mom and she loves it too! She thinks your home is beautiful and inspirational. Happy New Year! Hope you and your family had a wonderful Christmas. I wish you a Happy Healthy and Prosperous New Year and look forward to visiting with you here often. 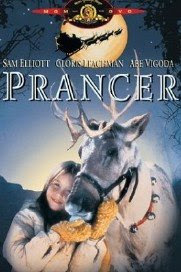 (I noticed you mentioned one of your fav Christmas movies – Prancer; It IS my favourite Christmas movie – loved it!!! RuthAnn, I LOVE your blog. The posts you write and the beautiful pictures you use are an inspiration. My Mom passed away 32years ago and Christmas hasn’t been the same “comfort feeling” that I had for so many years. Even though my Mom went to an orphanage at age 7 when her Mom died (she and her 3 siblings)- she was THE BEST MOM in the WORLD. YOU are a great Mom, too. My desire has always been to be a great Mom, too. Keep up your great blog. I love EVERY entry you write. Keep up your beautiful blog. I look for new entries each new day. Ruthann, you changed my whole Christmas. At first I was gonna keep it simple, but after looking at your house, we got it ALLLLL out and started trying to copy you. Hey, we’re a poor counterfeit but we had lots of fun trying and we enjoyed it all day long! Thanks! Hey Ruthanne, I already commented about this wonderful post, but now I have a question for you. Your decorations look so pretty. Can you show us the process that you go through to put everything away? Maybe it will inspire me (you are so……. good at that) :-) My decorations look nice also and I don’t want to pack everything up just yet. Some of my decorations are the gliittery snowflakes that you also have and my cute little village on our piano. I was thinking of leaving that out a while longer because technically it is ‘winter’. Do you do the same and leave anything out? I would appreciate your thoughts on this. Thank you for all the warmness and faith that you put into your posts. I look so foward to them! Happy New Year to you and your family!! “Oh Honey” and “it is so cute I want to Marry it”! My daughter has caught the Warm Pie, Happy Home bug as well! Your pantry is just absolutely my favorite thing in your home! If I came to stay would you let me sleep in there? All I can say is I very much look forward to your wisdom, kindness, humor and decorating talents in 2009. Thank you so much for all the work you put into making your blog such a warm and inspiring place for all of us to visit. You will never know how much you have inspired me with your warmth, love, and hospitality. I look forward to a New Year with you and your beautiful home. I love your story about getting ready to be snowbound. I live in Los Angeles and WISH I had that problem.